Having your home professionally painted isn't cheap, but it's a pretty good deal when you consider how much labor it requires. Painting the exterior of a typical single-story, 1,500-square-foot house costs roughly between $1,800 and $3,000. Painting the interior of a house costs about $2,000 to $3,600. But if you're ambitious enough to tackle the work yourself, you can save at least half on the total cost, and often more. Paint color is the most obvious home decor element. Local labor rates: Labor rates around the country can vary by over 25 percent, making this the biggest factor in regional cost differences (the cost of paint doesn't vary much by region). Even so, it's not likely that you'll know what the labor rate is for your area because painting bids typically do not include a separate number for labor, and it's not standard to hire painters on an hourly basis (unless you're hiring a handyman for a small painting job). House condition: A badly neglected house—interior or exterior—can easily triple the labor hours of a painting job, and that will be reflected in the price. Number of stories: The number of stories a house has affects exterior paint jobs more than interior jobs because multi-story house exteriors are more difficult to paint than single-story houses. Inside, it's just as easy to paint upstairs as it is downstairs. Paint quality: Paint can cost between $20 and $80 per gallon, and much of the price difference is based on quality. A $1,500-square-foot house exterior might need 10 to 12 gallons of paint, so the materials price can vary from about $200 to $960 for the paint alone. Painting contractors get a good price on paint and may or may not pass some of that savings on to you. Time of year: Contractors in cold-winter climates are busiest in the warm months and may offer a discount for jobs during the slow season. Exterior painting costs about 15 to 20 percent less than interior painting for the same size of house. This is because an exterior basically has only four sides to paint in total, while an interior has four walls plus a ceiling (and more trimwork) for each room. Exteriors also have their challenges—heights, dirt, weather, lots of prep work, etc.—but they generally paint faster than interiors. 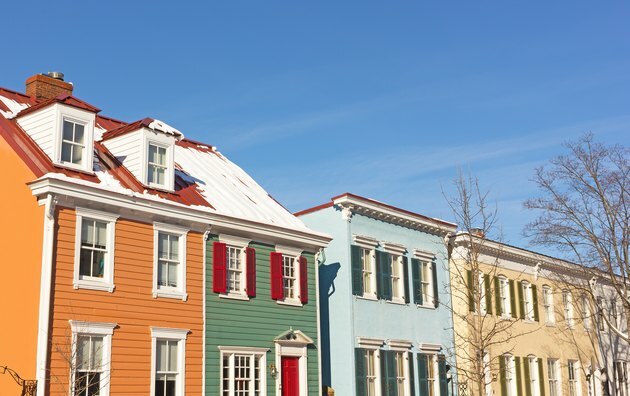 Exterior painting bids often include two (and sometimes three) colors without an extra charge. The two biggest factors affecting the cost for exterior painting are the condition of the house materials (including the existing paint) and the quality of the new paint. Cleaning and prepping the exterior make up the bulk of the labor of an exterior paint job. The house is first washed, then any old peeling paint must be scraped and/or sanded. If there are bare areas where the old paint has worn off completely, they must be sanded and primed, and any rotted wood trim and siding must be repaired or replaced. If a house exterior is in bad shape, the bids will likely be near the high side of the local price range. 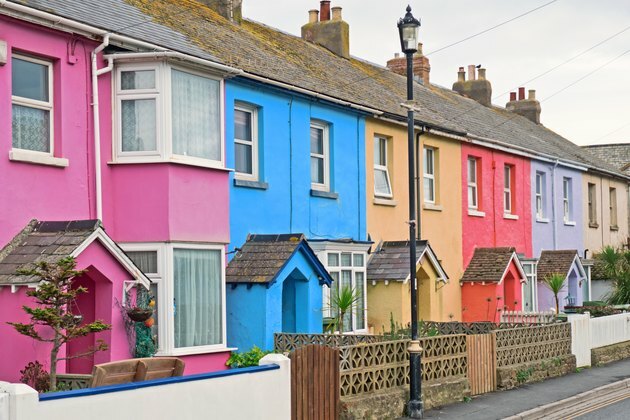 Paying extra for quality paint always is a good idea, but it's particularly wise for exteriors, where paint is subject to daily abuse from the elements. High-quality paint will last longer than the cheap stuff; if spending a little more on paint means you get a couple more years out of the paint job, that's a good return on your investment. 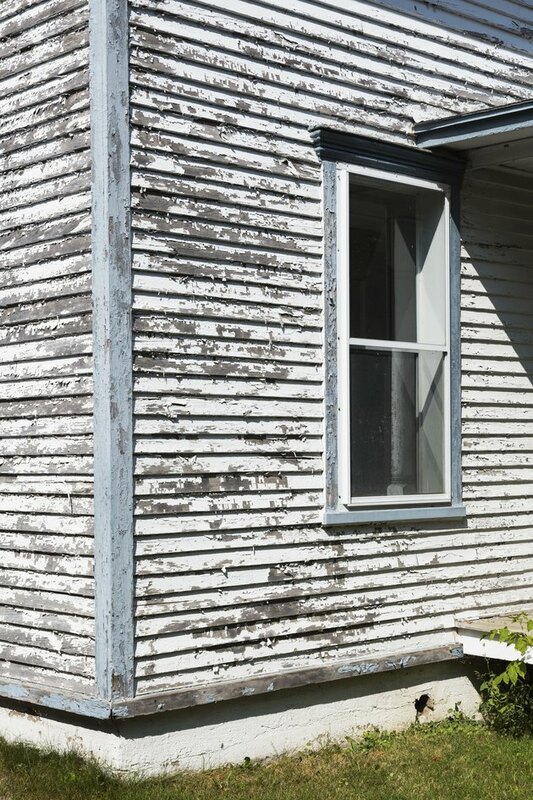 Badly peeling old paint will raise the cost to paint a house, due to increased labor and materials. Interior painting is fussy: There's a lot trim to deal with, the floors have to be meticulously covered, and most rooms need at least three types of paint—eggshell or satin for the walls, semi-gloss or gloss for the trim and doors, and flat for the ceiling. On the upside, interiors can be painted any day of the year, and they usually don't involve hair-raising heights. Interior paint jobs always should include two coats of paint as well as prepping old surfaces and caulking trim, as needed. 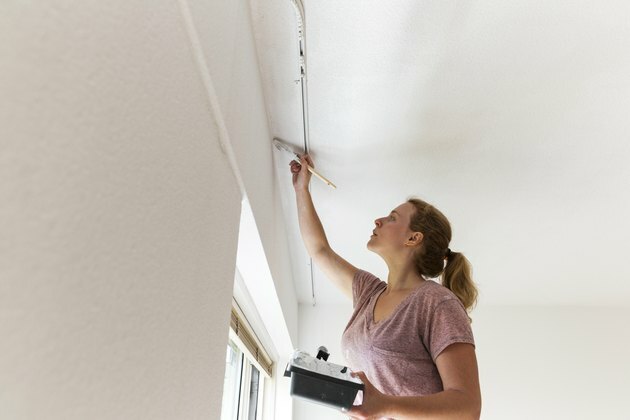 Sometimes painters will offer a base bid for the walls only and add trim and ceilings as extras, but typically a bid includes walls, ceilings, and trim, including your choice of paint sheen and color for each area. Should You Paint a House Yourself? To calculate how much you can save by doing your own painting, you have to add up the retail cost of all of the paint (including primer, as needed), materials (tape, drop cloths, sandpaper, dust masks, etc.) and any tools and equipment you have to buy or rent. What you're not paying for is labor (yours is free), overhead and profit for a painting contractor. DIY painting makes sense only if you have the time and a commitment to quality. All told, you can easily save 50 percent or more by doing your own work. Just be aware that it's a lot of work. What takes a crew of two or three good painters a day to do might take you five to six times longer because they have two or three people and they're arguably twice as fast. A typical house is a two- or three-day job for pros; that means a 10- to 18-day job for you. The other big consideration is workmanship. Anyone can paint a house, but it takes experience, skill and knowledge of materials to do it well. A handy person who understands proper technique, paints at the right time (not too much sun, wind, cold, etc. ), and pays attention to detail can do a decent job, but again, that takes time. How Often Should You Repaint a Stucco House?